Large brands have a constant agenda to provoke competitors with marketing campaigns, that hilariously pick at their flaws. It’s worryingly similar to animals putting on a show to catch a potential mates attention. Okay, so maybe brands don’t have the exact same goal as animals, but they are trying to prove their brand is more worthy of your attention; which, is obviously expected. Although it’s not very nice on the receiving side, it’s hard not to find some of the petty hissy-fits that brands have with each other funny. Especially, when they’re plastered over Twitter or slammed in our faces on clausal billboards during our work commute. We’ve decided to make it even easier for you to laugh at the roasts of big brands with some epic, battle-provoking marketing campaigns. Anyone who owns a phone and hasn’t been living under a rock for a good few years knows about the rivalry between Apple and Samsung. Or, Apple and any other technology heavyweights out there! This year Samsung brought out a petty marketing campaign masterpiece and their advert for it is truly epic. This advert, titled “Growing Up” directly mocks the Apple iPhone and its history of competing with the Samsung Galaxy range. This advert is very clever at bringing to light every fault the iPhone has, whilst highlighting the benefits the Galaxy Smartphone has. Not only is Samsung a video advert creating genius, but they also seem to have a flare of banter in them, just check out this Adwords campaign they launched back in 2015. Yepp, you read that right 2015! Samsung and Apple have been throwing fireballs at each other for a long, long time. As you can see Apple and Samsung have been competing with each other for many years now. They have published multiple marketing campaigns that are very comical, yet ruthless to one another. Although it seems that the most brutal marketing campaigns are from Samsung, maybe that’ll change soon, Apple? 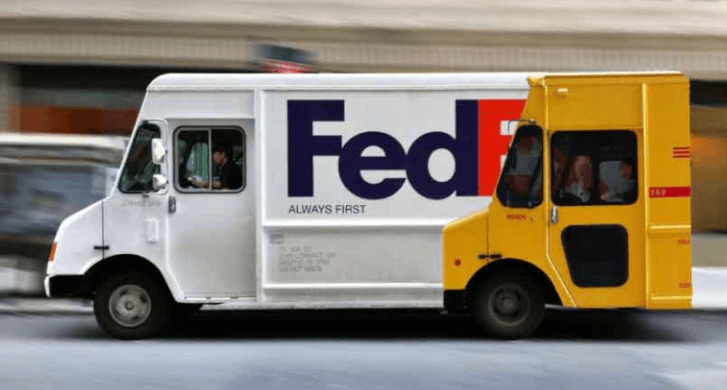 Although not as well-known as the fierce competition between iPhone and Samsung, DHL and FedEx also have a strong rivalry. 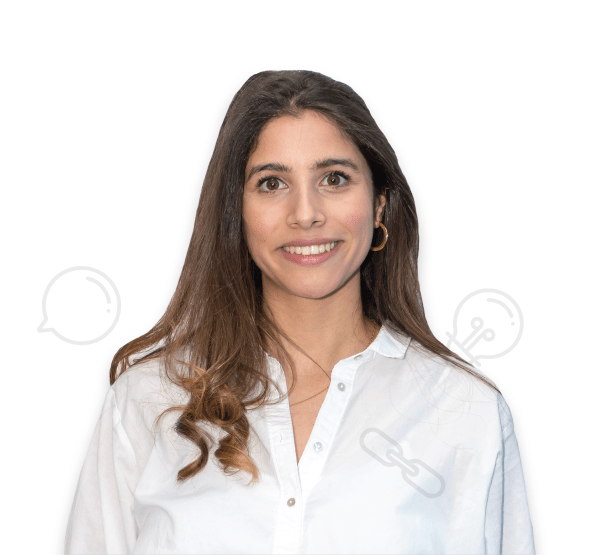 As to who is the best shipping courier, many people have very different opinions; instead, let’s take a look at who has the best marketing campaigns. Some of the most comical marketing campaigns have only recently been released from these two rivals. The first marketing campaign comes from DHL. Their poster which says “Fed up” is making a mockery of both FedEx and UPS. This poster is implying that if you are fed up with the poor service provided by FedEx and UPS, then make DHL your go-to shipping Courier. In response to this, FedEx came back with their own marketing campaign that mocked DHL. The image below shows FedEx’s van with a bit of a paint job. It sends a message to DHL that FedEx is always one step ahead. We are now waiting for DHL to come back with a reply to this campaign and it better be good! Is Coke Pepsi’s hero or nightmare? 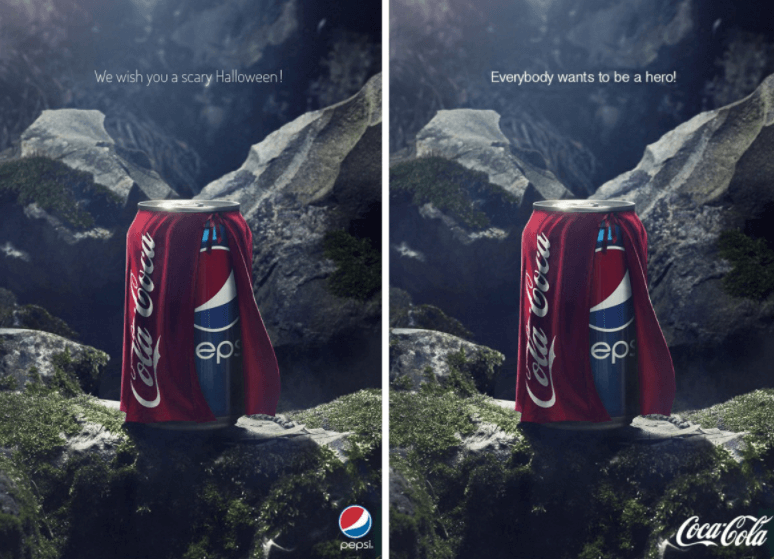 In light of Halloween Pepsi thought a nightmarish marketing campaign that would ridicule Coca-cola would humiliate Coke. Unfortanelty for them, a fan of Coke decided to defend the fizzy-drinks brand with a genius plan by switching Pepsi’s Ad into one that actually promotes their rival. To avoid copyright, Pepsi made the ‘cape’ or ‘scary mask’ – depending on who you’re talking to – spell out Cola-coca, instead of Coca-cola. This October 30th, Costa coffee launched a day-long campaign to go along with their Twitter hashtag ‘Crimes Against Coffee’. Surely it isn’t a coincidence that the day before Halloween, Costa decided to hand out free coffee to those who have been to a competitors coffee shop. The idea was to get other companies customers to try Costas coffee straight after their usual coffee; showing that theirs tastes better. Including allowing customers to have their cup (from another brand) re-filled for free, to promote their eco-friendliness (recycling). However, not everyone thought it was a brilliant campaign and many took to Twitter to bash Costa’s fail. Upon hearing about the #CrimesAgainstCoffee campaign by @CostaCoffee…. BMW and Audi are two of the leading German car manufactures in the world. They are well known for their rivalry in technology and advertisements, but their conflict has escalated to the next level. It all started with BMW’s advert, trying to get across to its audience that a BMW vehicle is so reliable that it’s pointless having service centres near their rally. So much so, that having the service centres near is like having paramedics at a chess game. Audi saw this as a great chance to intervene with a billboard. 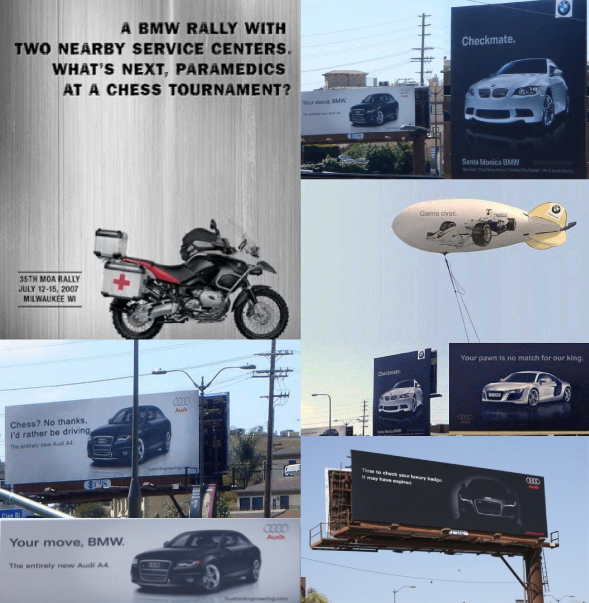 However, Audi decided to replace the Billboard a few days later with a new one which challenged BMW. This read “Your move, BMW”. This simple sentence is enticing BMW to fight back, and, as expected, BMW responded. They did this by buying the Billboard just across the street. This Billboard war soon went viral and many news sites such as Forbes were quick to write articles and report on this. In response to BMW’s Billboard, Audi, after turning to its Facebook fans to created some clever photoshopped replies. This was the last Billboard in the war between the two German car companies, as BMW moved its billboard to some other place, signalling the end of this conflict. This has to be one of our favourite conflicts between brand competitors. 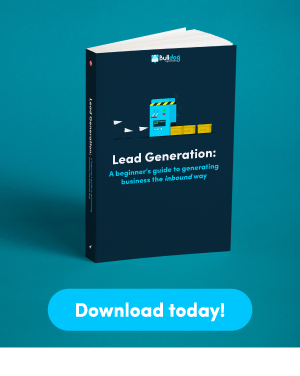 To conclude, there is always a conflict between rival companies, however, it seems the key to success when launching a marketing campaign mocking your competitor, is to make it humorous. What’s your favourite marketing campaign?